Baseball America just released their D3 preview and had 2 Mid-East teams listed in their top 10. Wooster at #7 and LaRoche at #8. They only listed their top 10. Both LaRoche & Wooster have a ton of talent returning. LaRoche did lose their Ace (Tanner Wilt), but I would still put them ahead of Wooster. The returning players from LaRoche earned it with their performance last year. That preview has me PSYCHED!!! Sounds like almost the whole team is back! Perhaps this could be CWRU's year! Too bad we're playing one of the nation's toughest schedules. Great win by Adrian last night over #3 Birmingham-Southern. Good pitching on both sides. In the top of the 8th, 2B Brian Killinger hit a solo HR that put the Bulldogs up by a run. Kyle Shephard pitched 2 scoreless innings to get the save and secure the win. This is also good for the region to get a win over a top notch, nationally ranked, and highly respected program. 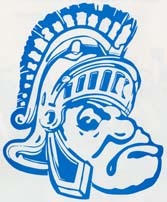 Later this month, Adrian has the opportunity to solidify where they rank in the region when they play Marietta, Wooster, and North Central Ill.(out of region, but still a very good team) on back-to-back-back days - March 17-19. I say that 2 out of 3 is "solid". In the past, the regional and national committees have put a lot of emphasis on Strength of Schedule so CWRU and Marietta may actually be ranked above some of these teams when the rankings come out. It's like splitting hairs after #3 IMO. For example, if Denison had split 2-2 with DPU instead of losing 3 of 4 I would have them at 4 and DPU at 6. One game is the difference of 2 spots to me right now. I agree with your assessment Dr. Pretty close after the top 3. To further complicate things, Marietta just added to their resume by beating LaRoche. Let's see what happens in game 2 today. Also, Marietta and Case play two games later this week which will most likely (1) eliminate either team if they got swept, or (2) eliminate both teams if they split. Eliminate from a pool C bid, that is. Case has played one heck of a schedule. No doubt about it. They have proven that they are a good team. Beating both Emory and Wash U twice definitely enhances any teams' resume. And they have some tough games left. If they win out and finish 26-14, the selection committee will have to take notice and reward them with a Pool C bid. They also have to hope the top seeds win the conference tourneys. Spartans lose to Fighting Scots 10-5. Wooster threw it's #1, while CWRU which played four games over the weekend ans had to start a pitcher who missed his last two starts due to injury. If they can win the four remaining games, two with 'Etta and two with JCU, they will finish 25-15 0.625, with the toughest schedule in D3. As Pops says need top seeds to win their conferences. We'll see how CWRU closes out the season. I like the way that the Spartans appeared to have rallied during the new "Round Robin" conference format. The first rankings were posted and it does not look like any surprises. Although, it has probably been a long while (if ever) that 3 out of the top 4 teams in the Regional Rankings were from the NCAC. Not sure if they meant to put two teams at #5 or if that is a typo. What the NCAA make a mistake. I will have to look in my spare time to see if they every tied a regional ranking before. You would thing that they could have found some difference between Adrian and W&J. Especially since these rankings will be history in another week. 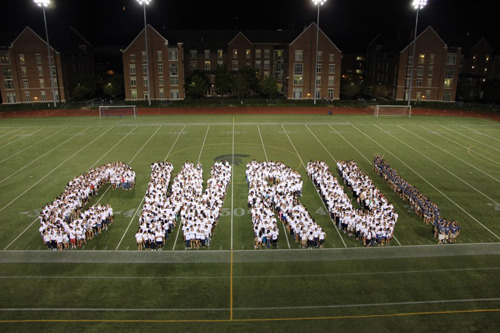 The cancellation of this weekend's series may hurt CWRU's chances.